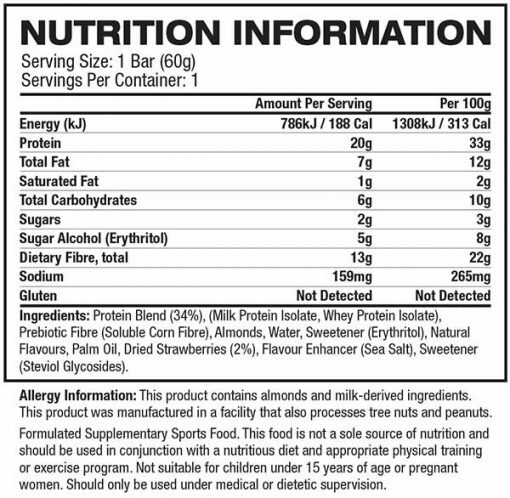 What better way is there to get good nutrition and a leaner body than with this easy and convenient Quest Bar that has all the protein you need! With various types of delicious and unique flavours, your taste buds are sure to savor each and every bite! Quest Bar works as the perfect protein supplement to have with you when you’re on the go or just in need of a tasty yet nutritious snack. Quest Bar contains high quality bio-available proteins to ensure maximal absorption and utilization by your muscles, and very low non-fiber carbs. It specifically entails a protein blend of whey protein isolate and milk protein isolate, two protein sources which work by promoting the build of muscle mass, maintaining a healthy skeletal muscle function, and enhancing muscle recovery. 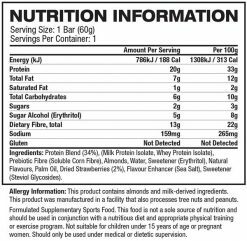 Free of any added additional sugars, rice syrups and worthless gelatin, this protein bar contains a high nutritional profile including 20g of protein – to give you the energy and nutrients you need to ultimately reach your workout goals! 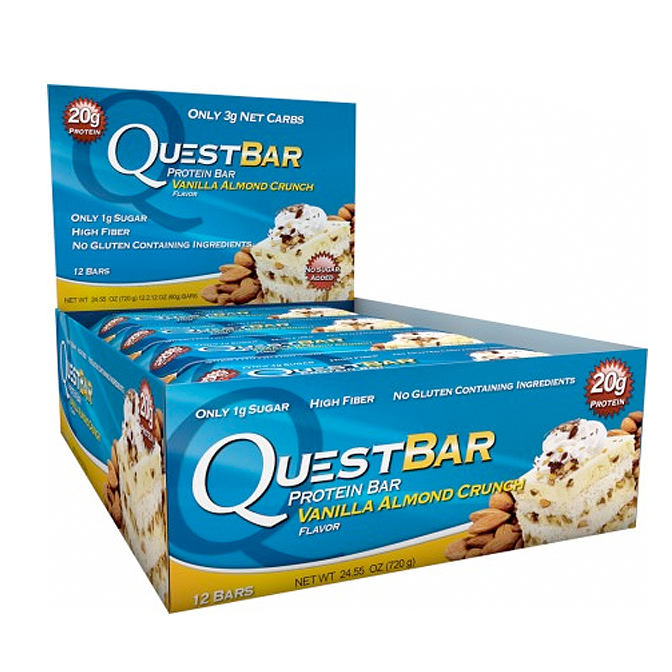 Consume quest bars as snacks or meals throughout the day whenever protein is required.